We have been so lucky to have Carrie on our team as a Stroller Strides instructor for the Springfield/Kingstowne Village this past year. She has been such a wonderful part of our village and we will truly miss her and Sam. Good luck with your move and next adventure!! 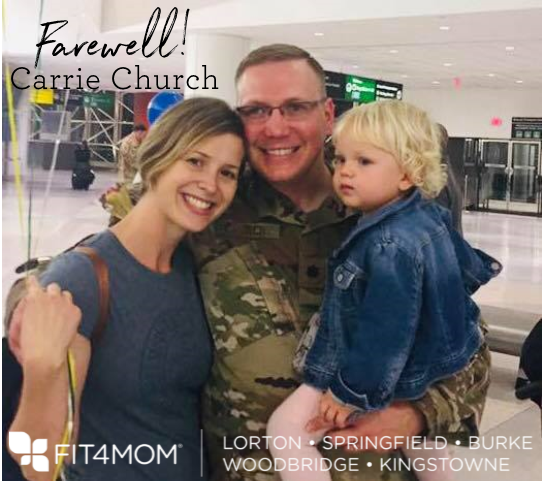 And here are a few thoughts about Fit4Mom from Carrie!